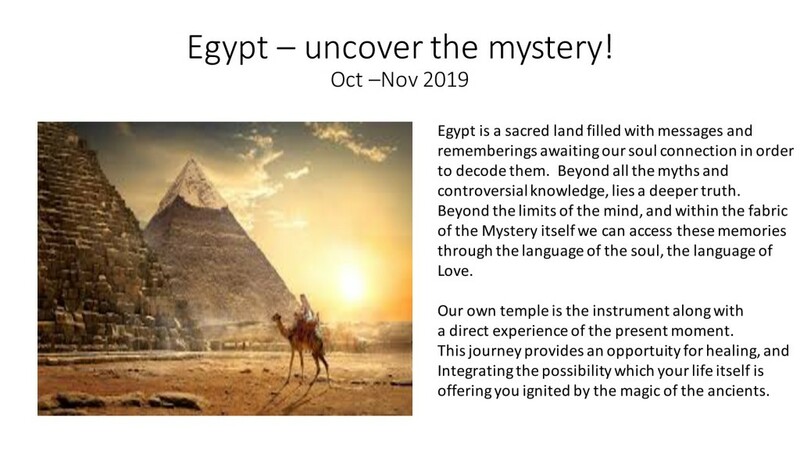 Mystery School is a living life journey to support our integration into the mystery through visiting places of sacredness around the world. The journey of co-creation begins when you choose to take that first step… and say YES… in so doing you become part of the co-creative field and you are included in the conversation so the information of your soul is included, honoured, recognised and invited to participate. There are 3 elements to the sacred journeys I am co-creating with you. The first is that we honour the inner journey. Each of us, in this moment, is in a gateway. Within us is all that we know, our beliefs and ideas, which are also limiting us; perhaps creating stress and tension and keeping us from being our fullest potential, from sharing our unique gift within our soul purpose. In front of us, is the unknown; a possibility to trust life, to feel and support each other, and to recognise that we live in a friendly universe which helps us remember who we are, unlearn what we know is blocking the way, and become open to the fullness of life and our place in it. What is invited is the courage to meet our living dynamic experience in each moment… and thus to keep becoming, who we came to be. The second is the outer journey. 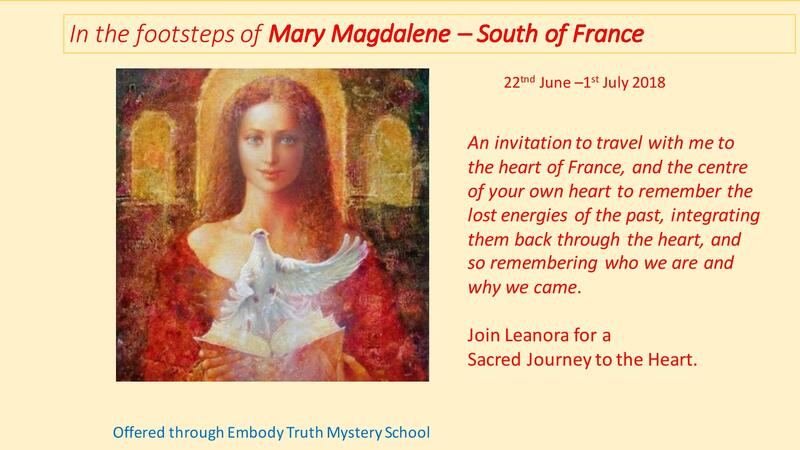 We will be travelling together to a special place, a place that holds vibrations, which enable us to remember memories from the sacred field which is available within them. My research includes your souls guidance, so once you take the first step and say YES, you become part of the co-creative field… your soul is speaking into it and I am listening to it… so the holding of the group field is woven with the place and the journey; we are co-creating a soul journey. The outer journey is to places of sacredness, places where the ancients left us messages in monuments, temples, sacred geometry and also imbued in nature and the land. It is informed by the passage of time, between an ancient time and now… the matrix we live in is part of what we find there. If the places are resonating a high vibration for you then there is an opportunity to integrate these high vibe messages into your own being, to own the vibration and thus to take it with you as a guiding light in the world. These empowering journeys will recalibrate your field… you will either strengthen your anchoring of light energies, or become acutely aware of what is in the way of that! The third element is community. Using the basic theme of ‘love self first’ we will co-create community through the practice of heart centred sovereignty as a way of relating beginning each day in a heart circle. You are responsible for yourself and your own needs for the journey and throughout the time we spend together. Looking after your own needs and having them heard allows you to self regulate. Once you can self regulate you can begin to co-regulate in a way which is not co-dependent or manipulative to get your needs met. You can just feel the love, support and joy that is available from the group and beyond. Often within a group there is a deepening of connections and often there may be that one person who upsets your equilibrium… this is your soul giving you opportunities and support is available to unwind these old stories. The group field gives us great opportunities to find and practice new ways of relating both harmoniously and empowered through the work of heart-centered Sovereignty. Each morning you are invited to a group heart circle to reconnect, and remember, to return to Love, and to orient the days journey. Nothing is required of you, everything is optional… every choices is yours, and all choices have a consequence. This is a potent and powerful way to heal the patterns which may be keeping you trapped, and instead opens you up to a possibility which is calling your soul… here and now … LIFE! How it works: Costing is done through estimates and does not include airfare to the country. The endeavour is to be transparent and share, and no risk/profit are added in. 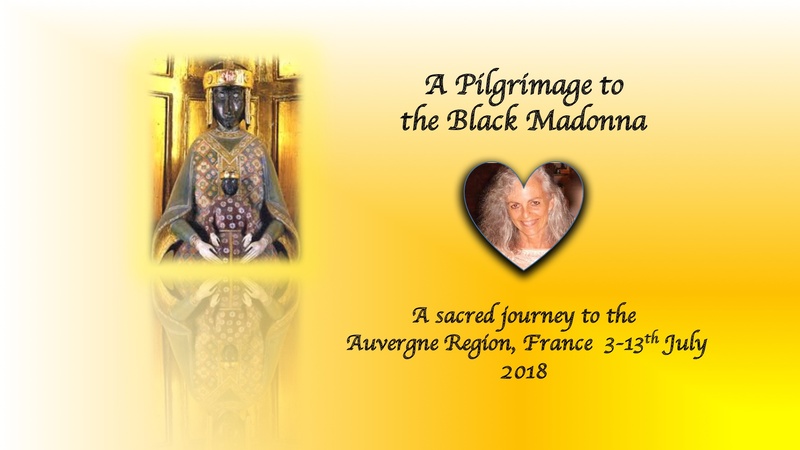 However, to honour the work involved in the process, the time it takes and what I offer on the journey a cost for this is included to cover planning, co-ordination, admin, research and the sharing of my own gifts. Shared costs like accommodation need to be paid upfront in order to secure the facility and make a commitment to the journey. The group usually run on a food and fuel/transport kitty. Sovereignty is supported and encouraged as a way of being… right from the start.